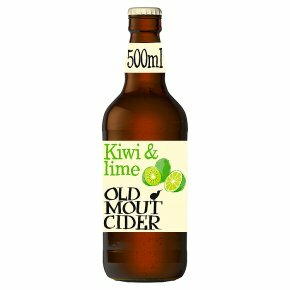 Old Mout brings a bit of Kiwi spirit to the UK. This slightly more unusual flavour combination delivers a cider which is pale in colour with the refreshing taste of aromatic kiwi fruit cut with a twist of zingy lime. Serve chilled with ice and a wedge of lime, ideally on a sunny summer afternoon. Do your zing. Pronounced incorrectly since 1947. Established in Nelson, New Zealand. The ingenious pairing of aromatic kiwi and zingy lime. Mixed with cider, these natural partners create a unique combination. Serve with a wedge of lime and drink it over ice with friends on a hot summer's day! ABV: 4.0% AROMA: Sweet juicy kiwi with mouth-watering lime tanginess. FLAVOUR: Super fruity with kiwi and a hint of lime blossom. MOUTHFEEL: Bursting with sweet and tangy tropical fruit, kiwi and hints of key lime pie. FINISH: Light and effervescent. FOOD MATCH: Tropical fruit salad.